Mitte is known as Berlin’s most chic, upmarket borough; where sleek streets are lined with boutique shops, swanky restaurants and many of the city’s best museums and art galleries. When it comes to resting your head at night, it’s only fitting that it should be on a plush pillow in one of Mitte’s high-end hotels. Here are a selection of the best. 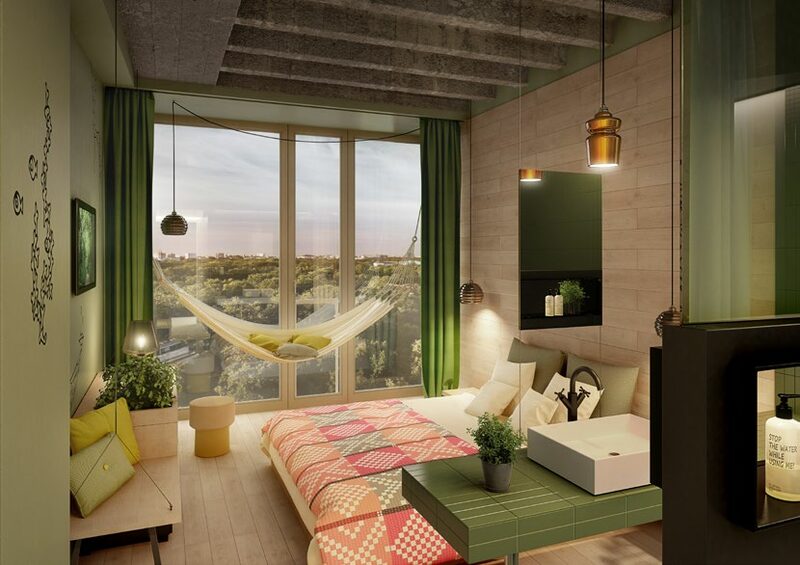 Overlooking the Berlin zoo, this ultra hip hotel attracts a cutting-edge clientele. Its busy bar and terrace – appropriately named The Monkey Bar – serves a range of tasty cocktails and is renowned as one of the city’s coolest hangouts. Aimed at those who appreciate design, creative atmosphere and a dash of quirkiness, you can book a Jungle room where you can hear the monkeys chatter, or alternatively enjoy city views from one of the Urban rooms. Nestled in the heart of Berlin, this five-star dreamland is a monument to Italy’s finest. 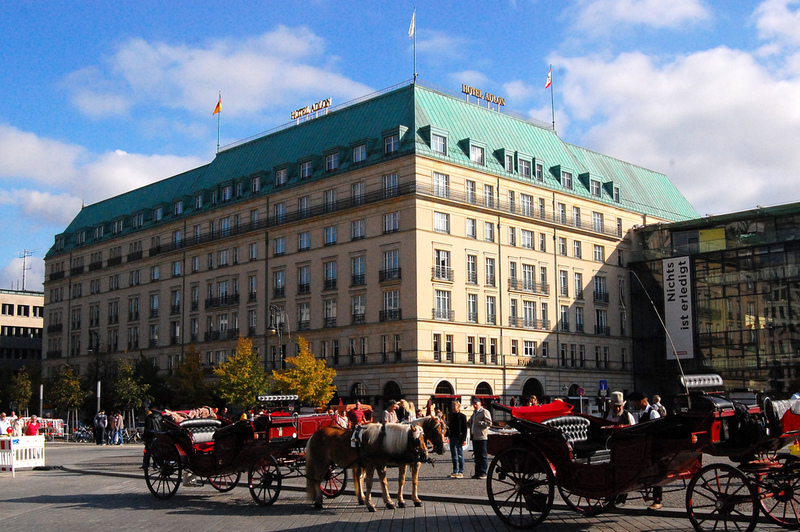 Located on Bebelplatz by the State Opera House, this high-end hotel was built in 1889 and is set in a former bank HQ. Enjoy the first-rate cuisine and cocktails in the chic Italian restaurant and rooftop bar, before heading back to your room, replete with stucco ceilings and marble bathrooms. Pianists add to the classic ambiance while afternoon tea is served. Live it up in this lush and colourful hotel beautifully set in a 19th-century building. 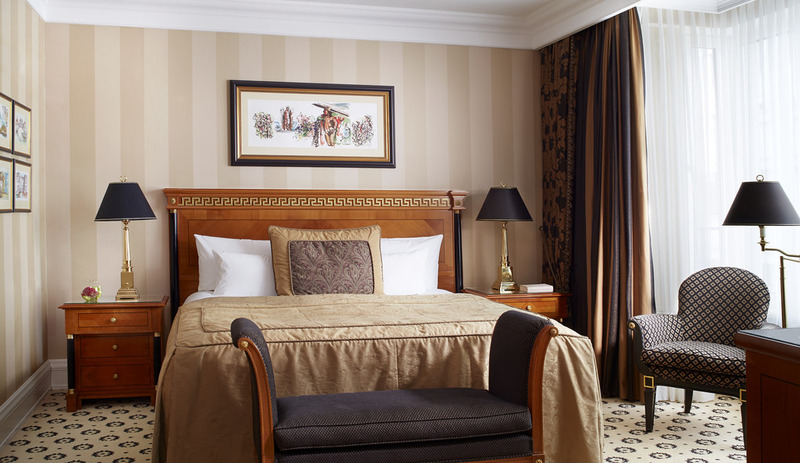 Highlights include the brass beds, complimentary wine and an epic spiral staircase as the hotel’s lavish centrepiece. There’s also a trendy bar where the clientele gather to toast the good life, as well as a state-of-the-art fitness centre and traditional cigar lounge. If you prefer something a little lower-key, opt for the Garden Boutique which offers exquisite, traditional rooms in a building that dates back to 1845. No two rooms are the same, though all have their own private balcony. Guests who are looking for something a little different from the classic hotel atmosphere can choose to stay in an apartment house created by Herzblut, which boast lush gardens and an inner-oasis of botany and sunlight. This elite, five-star establishment is kitted out with numerous high-end features, including a wellness area with an indoor pool, saunas, a fitness room, a business centre and even a traditional ballroom. It’s plush, contemporary rooms offer fantastic views over Potsdamer Platz and Tiergarten. It’s also centrally situated for all the key landmarks and tourist spots in the city, being just a minute’s walk from the Berlin Wall. Guests can also indulge in gourmet French cuisine and enjoy a night cap in the lobby cocktail lounge. A hotel that attracts the rich and famous – the very place that Michael Jackson caused a stir by standing on a third-floor balcony with his baby son, in fact. 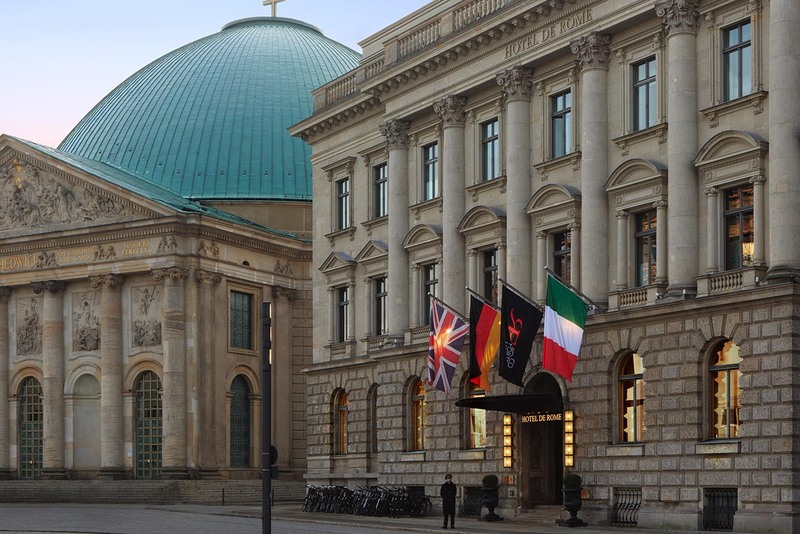 Sitting on the doorstep of the Brandenburg Tor, it’s also played host to Barack Obama and its five-star status features three restaurants, a gym, a spa and a sparkly indoor pool with bar and terrace.